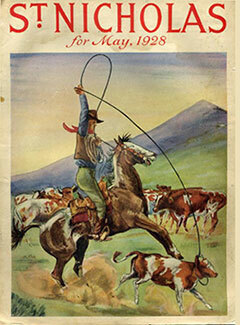 In the world of books—hardcover anyway—the dust jacket has been around since the 1820’s. Apparently, they were created (in England) to protect cloth bindings, which were, now and again, embossed, and sometimes even gilded. In those days the dust jacket was meant to protect the book from, well, dust. Moreover those jackets were sealed like a package, then removed when the book was put on display or, of course, read. It took a hundred years or so for dust jackets to evolve into what we know today, artistically (we hope) designed to attract the eye of the viewer. Now it’s also just folded over the book, and easily removed. That said, if you collect rare editions, say The Grapes of Wrath, and the volume has its dust jacket (intact) it very much ups the price. (If you wonder why Dust Jacket retains the name, how many of you keep driving gloves in the “glove compartment” of your car?) I am often asked how I go about designing the covers of my books, and people are surprised to learn that I actually have no control over that, at least no contractual control. Still, over the years, editors have been willing to share early cover ideas with me, and I can give a response. Generally speaking (but not always) my thoughts are included in the process. In my early years some of the covers were quite awful. 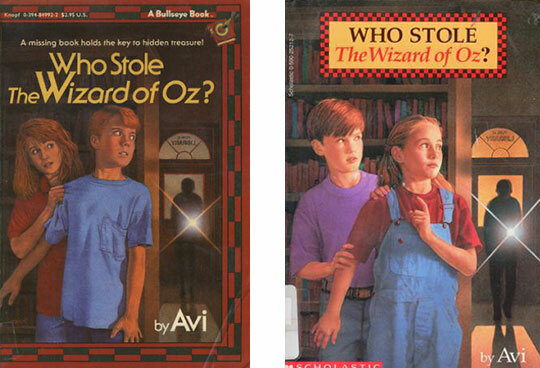 One such cover, Who Stole the Wizard of Oz? took a moment from the book to illustrate. But the image—a boy and girl—actually reversed the placement of the kids, putting the boy in a dominant position, while the text reads quite otherwise. In my publishing history I actually offered two designs for covers, which were used. One was Don’t You Know There’s a War On? Moreover, the image of the boy (looking at him from the back) is taken from a photograph of my son, Robert, which I supplied. The other design was for my forthcoming The Button War. The buttons depicted, are in fact the military uniform buttons (World War 1) that I collected as part of my research for writing the book. I think it unusually striking. That said, when books are published in other countries the covers often change. Here is The Button War, in its UK edition. 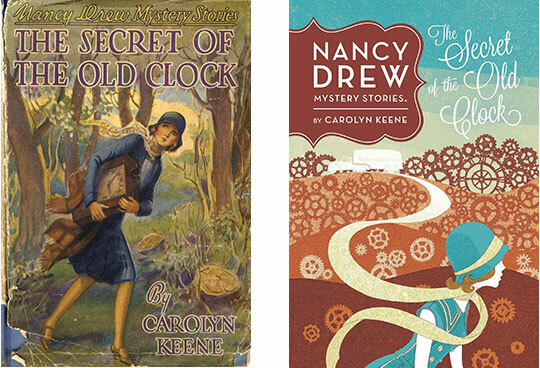 I once had a collection of Nancy Drew and the Secret of the Old Clock (the first in the series). Over the years, while the text did not change, the cover did, mostly in terms of clothing fashion and Nancy’s haircut. When Poppy and Ereth was first published, Brian Floca, who did the cover, complained to the publisher that they had changed the color of Ereth’s teeth. They should have been—as in nature they are—yellow. The cover depicted them as white. Subsequent editions got it right. 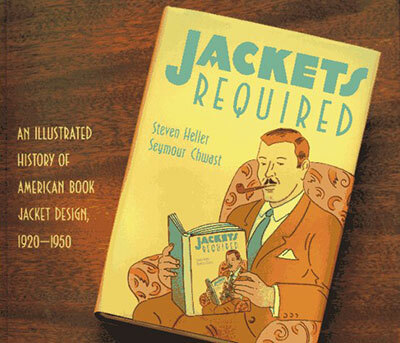 In my library I own a book titled, Jackets Required: an Illustrated history of American Book Jacket Design, 1920-1950. Many of the covers are quite stunning. Great covers are sadly rare. My guess is that books with poorly designed dust jackets more often than not, well, collect dust. 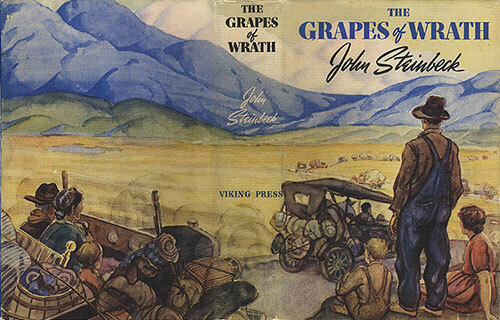 Filed Under: reading Tagged With: book covers, Brian Floca, Carolyn Keene, design, Don't You Know There's a War On?, dust jackets, Jackets Required: an Illustrated History of American Book Jacket Design, John Steinbeck, Nancy Drew and the Secret of the Old Clock, Poppy and Ereth, The Button War, The Grapes of Wrath, Who Stole the Wizard of Oz? And this article, folks, is the most-read article of all on this blog. This was first published in April of 2014. Thanks for taking this journey back through my Most Read Blog Posts. I’ve had a good summer of writing … books you’ll be able to read soon! You are working on a project and you have a nagging sense that the book is not going well. You work on your text, and you change, this, that, and the other thing. Small stuff, really. Been there. Done that. The negative nagging persists. If you are a reader—and I do not know how you can be writer without being a reader—your intuition tells you that something is still wrong. 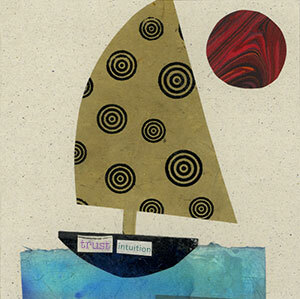 I vote for trusting your intuition. If you sense something is wrong, I am betting something is wrong, missing, not written. Still, you do not know what to do. This is why society has priests, psychologists, partners, spouses, best friends, book-writing groups, and editors. You can determine your own order of importance—for insight into your work. Because here comes the hard part. Sometimes you need to make a BIG change. As in life, so it is in writing: big changes are hard to make. What kind of changes? A fundamental shift in plot, character, ending, beginning, middle …. Something BIG is needed. Believe me, such changes—as in life—are very hard to do. Been there. Tried to do it. The next thing this writer offered me was terrific. Stay tuned. New articles will begin again on September 6th. This was first published in March of 2015. On our countdown of Most Read Blog Posts, it’s number 2, in which we look at something every hardcover book has: the jacket flap. 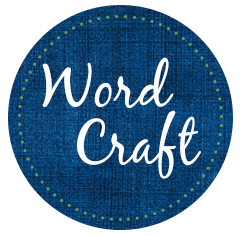 There is an aspect of book writing and publishing that folks don’t talk about much, but is actually quite important: what is called flap copy. 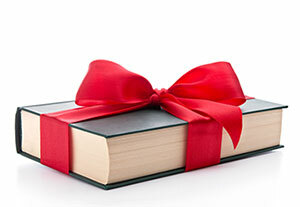 Flap copy is the brief description of the book that appears on the inside flap of the book cover. There is also the bio. And there is copy on the back of the book. Consider how people select a book to read. The title. The cover. Very important. And very often they read that flap copy to see what the book is about, (subject matter) the kind of book it is (science fiction, mystery, romance, etc.) and perhaps the style (funny, sentimental, scary) and so forth. It is key in helping the reader decided if they are going to read (buy? borrow?) that book. Who writes that copy? Generally speaking it is the editor who writes it. Sometimes someone from the marketing department does. Often, but not always, that draft is shared with the writer. Do I like it? Do I think it gets the book right? Do I approve? Want to change it? Remember, one has only a few words in a small space. There have been times I have had very little to say or suggest. There have been times I have rewritten that flap copy entirely. Today I received flap copy for my collection of short stories, The Most Important Thing, which will be published (Candlewick) in 2016. It was fine, but there were ways I thought it could be smoother, a bit more engaging. So I worked on it, sent it in. The editor felt it was improved. 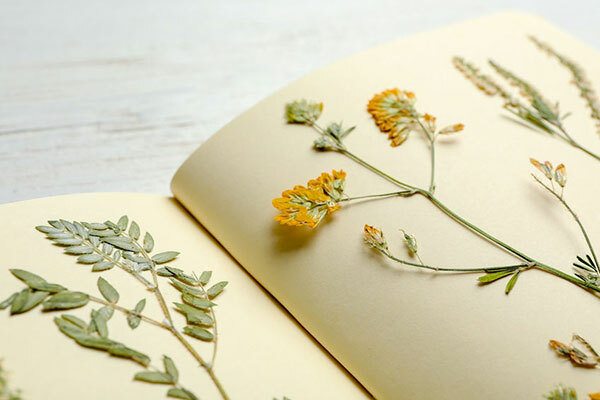 It’s another example of the collaborative nature of publishing but a facet rarely mentioned. But, oh, how important! But it’s always worth making a flap. This was first published in December of 2013. On our countdown of Most Read Blog Posts, it’s number 3, in which we look at the idea of reading for pleasure. One of the hardest things about writing is learning to like what you are writing. Why should this be? I suspect it’s because you came to writing because you loved to read, loved good writing. So you know what good writing is. The process of writing, however, means that when you write, your writing is not, at first, going to be good. And you know it. Nobody, nobody, writes anything well the first time. If anyone tells you otherwise, don’t believe it. As I often tell students, if you write something, and you think it’s good, you are in trouble. Write something and know it’s not very good, and you are on your way. This means that it is perfectly understandable that when you sit down to work, there’s an internal groan, a reluctance to engage. Why? Because you sense your work is no good. And you are right! It is only by pushing forward, with discipline, diligence, and yes, courage, that you can begin to shape your work into something you can respect, and eventually like. My good friend and fine writer, Betty Miles, once confessed that it took her some six months working on a book before she felt like a writer. Learning to be patient with yourself—and your work—is obligatory for writers. This was first published in March of 2013. On our countdown of Most Read Blog Posts, it’s number 4, in which we look at the idea of reading for pleasure. There are many things one can teach about a book: its context, language, style, construction, its historical moment, and so forth. The list is long, and productive. But to teach as if a text is written in code—a code only a teacher can decipher—is to tell students that they cannot understand what is being read. It makes readers feel dumb. It tells them they cannot understand literature. Most importantly, if one teaches literature in such a fashion, it robs a student of the joy of reading on his or her own terms and experience. “You really don’t put symbols and hidden meanings in your books?” the boy asked incredulously. As it turned out, unbeknown to me, there was a literature teacher in the classroom. When the kids left, she introduced herself. This was first published in August of 2014. On our countdown of Most Read Blog Posts, it’s number 5. In which we look at the idea of “fun” in connection with writing children’s books. The other day I was having my annual eye checkup. Lisa, the young technical assistant was going over my basic data sheet. LISA: It says here you are a writer. 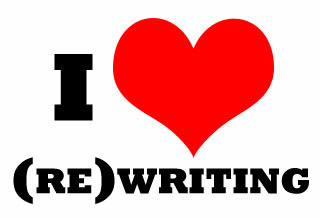 What do you write? “That must be fun,” she says and moves on to my medical history. “That must be fun” is the most common response folks articulate upon learning what I do for a living. I suspect it conveys a whole range of inferences, such as: since your writing is about kids, the work cannot be hard; that books for young people are about lightweight subjects; that writing for young people means your life is like a young person’s life, which is to say, without much responsibility, ergo fun. This happens, I suspect because what is embedded in adult memory about their reading when young—if they did read—are books which they recall as frivolous. In short, the book which provides the greatest impact is the one full of complex ideas, characters, and emotions, a book which articulates and echoes the complex ideas, characters, and emotions of the young reader. There is nothing wrong about books that are fun. More power to them. I do believe, however, it is the hard book that opens the mind and keeps it open. This was first published in January of 2013. It has been read so often that it’s #6 on the countdown of Most Read Blog Posts. Serialization is a popular form all its own. The longest book I’ve written, Beyond the Western Sea, was my attempt to write a Victorian-like saga. At 675 pages there was nothing of that length in the children’s book world in the pre Harry Potter era, 1995. Indeed I decided to write the book in short chapters, with each chapter having a cliff-hanging ending, so as to propel my readers to read just one more, as if had been written for serialization. [In fact, the publisher was so nervous about the book’s length that they issued it in two volumes, which proved to be a mistake.] When the book was done it came to my mind that I might try to do actual serialization in newspapers. That was the birth of Breakfast Serials. Why did serialization become so popular? In the 19th Century, literacy was spreading among masses of people. Buying serial installments was a lot cheaper than buying a book. More than that, a serialized story means, beyond all else, a shared story. Social reading. Think of the book club experience, but multiply it by thousands! Think what a relief it is (say in a classroom) not to have the fast reader spoil the book for the slow reader by announcing what happens next. They can’t, because no one knows. Readers are always on the same page. I was in New York City last week, and as I always do, I rode the Subway.That’s something I have enjoyed doing since I was a boy growing up. (My graphic novel, City of Light City of Dark, has a lot about subways.) This time as I looked over the passengers, sitting and standing, I became aware of an enormous difference. Back then—and it was not so very long ago—the subways were full of readers. There were the newspaper readers, including those who had mastered the art of folding the New York Times. There were readers of the Daily News, the Herald Tribune, the Daily Mirror, and the New York Post. (I once observed a reader reading a serial story I had written (The Secret School) which was being serialized in the Post. Many of the newspapers were in non-English languages, Chinese, Spanish, Russian, among others. Then there were the Bible readers, and here the languages were just as varied. Of course there were many book readers, both hardback and paperback. I can recall stepping into a subway and realizing that at least fifteen people were simultaneously reading Mario Puzo’s The Godfather, in paperback. As a high school student, traveling back and forth to school via the subway, I could and did read without looking up to see what station I had reached. I could truly feel which station I had come to, and just close my book and walk off at my home stop. While on the subway during this last visit, however, what I observed was that almost no one was reading. I saw perhaps one person reading an e-book. A few were looking at cell-phones, but when I snooped, I realized they were playing games. My old town had been a city of subways and readers. Now it’s just the subways. Reading has truly gone underground.